Adam Collings is a software engineer during the day – but he has always loved to write stories. He is particularly fond of the science ficiton genre. 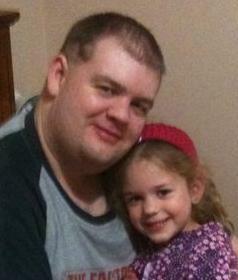 He lives in Tasmania, Australia with his wife Linda, and his children Chloe and Harrison. Adam writes a blog The Collings Zone, where shares his thoughts on a variety of topics including Christian spirituality, writing, programming, Star Trek, and his family. Adam is working on his first novel – as yet unpublished. You can find Adam on twitter at @adamcollings. Connect with me on Google Plus. Images (from header) from NASA and the NSSDC. The Colonists by Adam Collings is licensed under a Creative Commons Attribution-NonCommercial-NoDerivs 3.0 Unported License.